Do or do not, there is no try. 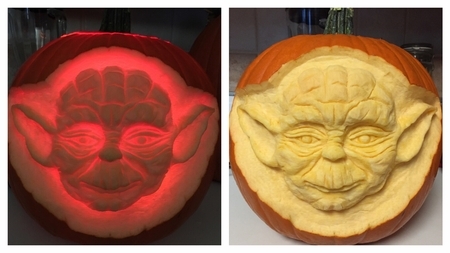 And the person who carved this pumpkin definitely did. Yoda would be proud. Unless this wasn’t supposed to be Yoda and was actually supposed to be the carver’s grandmother. In which case, uh... grandma would be proud... I think?